This person-sized reactor could power the first Martian colony. Being able to produce power on alien worlds will define our terraforming and interplanetary colonization experiences — how we generate atmospheres, produce life’s prerequisites, and power machines for exploration depend on it. NASA experts estimate that a Mars expedition would require roughly 40 kilowatts of power — around enough to power eight houses on Earth — and they think they may know the best way to generate that energy: nuclear fission. The project’s budget is around $15 million, and in September, the agency will unveil the fruits of their labor — a 1.9 meters (6.5 feet) tall generator designed to produce up to 1 kilowatt of electric power — during testing at the Nevada National Security Site. Although other alternatives for generating power have been put forward, none are as viable as fission. Solar energy, for instance, would require that astronauts stick to regions that receive an adequate amount of sunlight. “If you want to land anywhere, surface fission power is a key strategy for that,” Michelle Rucker, an engineer at NASA’s Johnson Space Center, told Space.com. Project Kilopower marks something of a fission resurgence for NASA after a hiatus of more than 50 years. The last time the agency operated a fission reactor was in 1965, when they launched the Systems for Nuclear Auxiliary Power (SNAP) project. That project resulted in radioisotope thermoelectric generators (RTGs) that are still used to power spacecraft today, as well as the nuclear-powered spacecraft SNAP 10A, which stopped working 43 days after it was launched into space due to an electrical component failure. Individuals such as Stephen Hawking have issued warnings that Earth can’t survive our habitation for much longer, so finding an alternative home for humanity is becoming critical. The question of how to provide power off-world is one of the biggest ones we face as we consider the Red Planet as our future home. 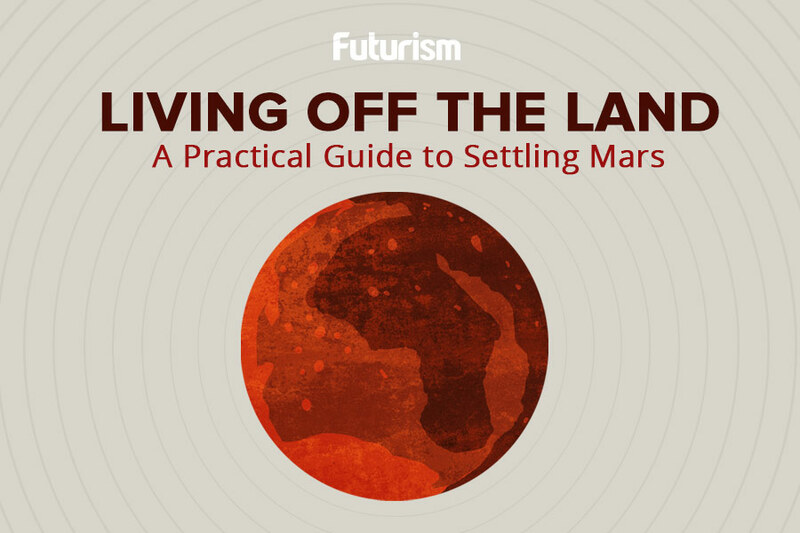 Other aspects of Mars colonization are already falling into place. Elon Musk’s SpaceX is driving the transportation element of the cosmic migration forward, developing detailed plans and working on ever-larger spaceships that we could use to get to our planetary neighbor. Several solutions have been proposed to help us generate a habitable atmosphere. The Defense Advanced Research Projects Agency (DARPA) is considering using bacteria that would form algae to warm and thicken the atmosphere, while NASA detailed at the Planetary Science Vision 2050 Workshop earlier this year how they could build an Earth-like magnetic field around the planet. If we ever successfully move to another planet, these questions and hundreds more, such as how diseases will respond to space and how reproduction will work, will have to be answered. Estimates concerning how long this will take vary, with some saying decades and others saying centuries. At any rate, let us hope it is sooner rather than later if Hawking’s prediction proves to be accurate.